Inscribed on reverse, probably ca. 1656 (from website of British Museum) ‘dit voor af te vragen / [vr]agen aen ons beijde oft wijt an de Heeren / [g? ]oede mannen willen laten ver blijben / dan tijssen te vragen of Hij niet een / beijden d schilderien gelieft opgemaeckt te hebben / geen van beijden begerende.’ Top left, in graphite: ‘1217’ and centre: ‘2’. The main inscription is written around the ‘2’ and was therefore probably made later, and the ‘2’ could therefore also be autograph. At a symposium on Rembrandt’s drawings held in Munich held in 2002 in connection with an exhibition at the Graphische Sammlung, Christian Tümpel delivered a paper on six of the above inscriptions. (See Tümpel 2003.) 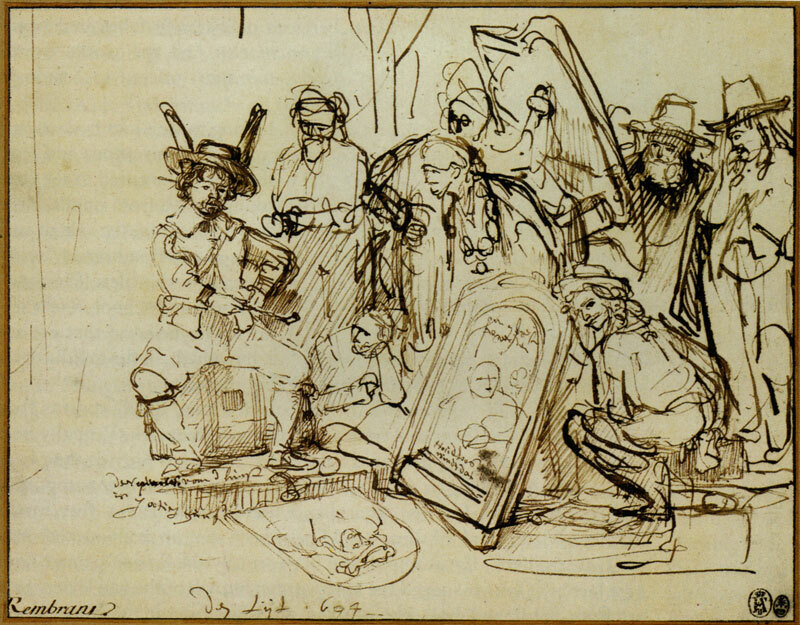 In the subsequent discussion, Volker Manuth asked whether the occurrence on a drawing of an inscription by Rembrandt should not be interpreted as a sign that the drawing is not by Rembrandt rather than by him. As a general consideration, I do not agree with this. Nor have the individual drawings in this section been questioned by other authorities, except where indicated. 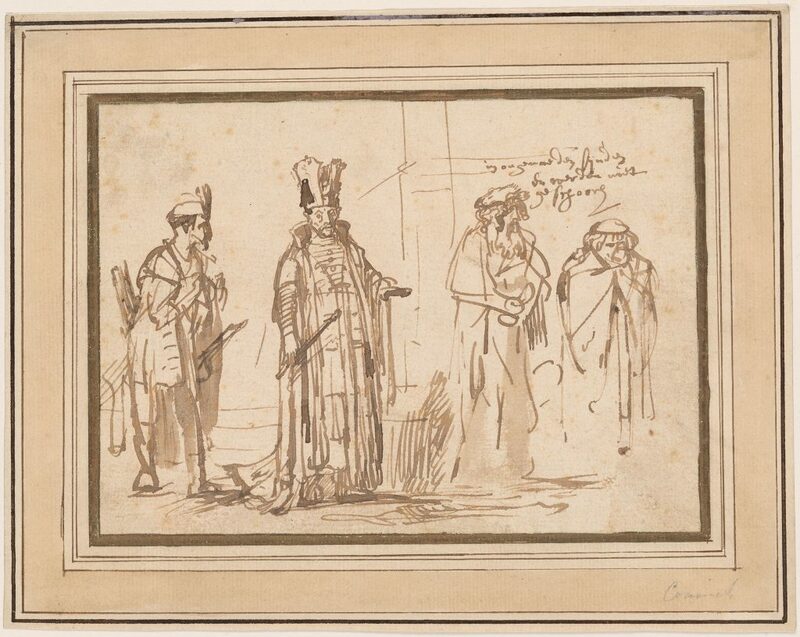 At a symposium in the J. Paul Getty Museum on 2 February 2010, Martin Royalton Kisch said that he did not consider an inscription by Rembrandt on a drawing a sufficiently powerful indication to justify including it on his core list. He made only two exceptions, in the case of the 1633 drawing of Saskia and the Mater Dolorosa in the Rijksmuseum.